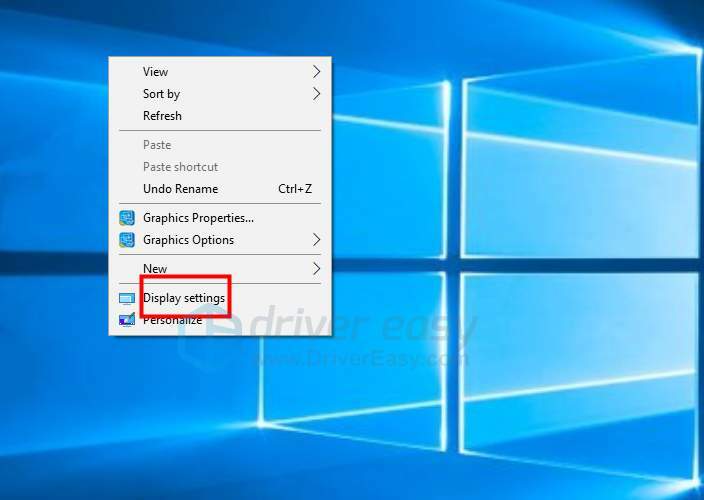 If your computer screen is stretched on Windows 10, don’t worry. The problem can be caused by incorrect resolution configuration or the faulty Graphics drivers. Just use the solutions in this post to fix the problem. The stretched screen issue can be caused by faulty display settings. 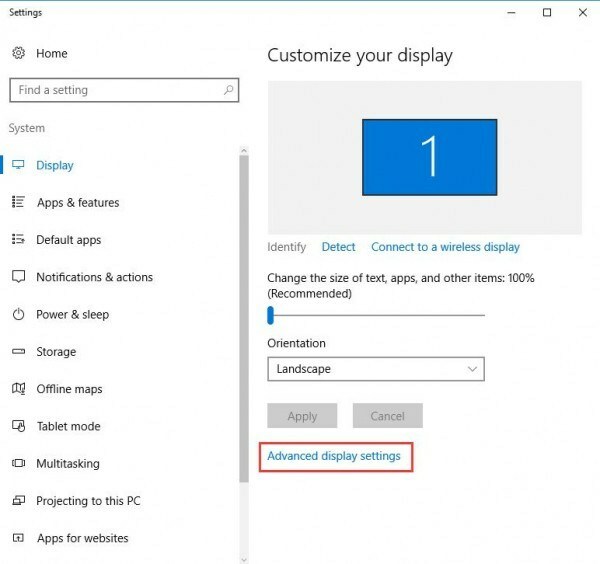 Follow the steps below to check the display settings. 1) Right-click the desktop and click Display settings on the context menu. 2) Click Advanced display settings. 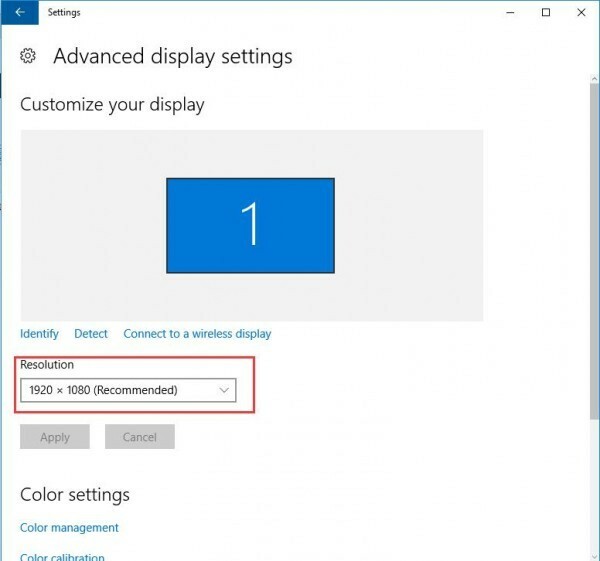 3) Be sure the resolution is set at the recommended level. If not, change it to the recommended solution. 4) Reboot your PC and check to see if the problem is resolved. If the problem persists, you can try to update the graphics card driver. 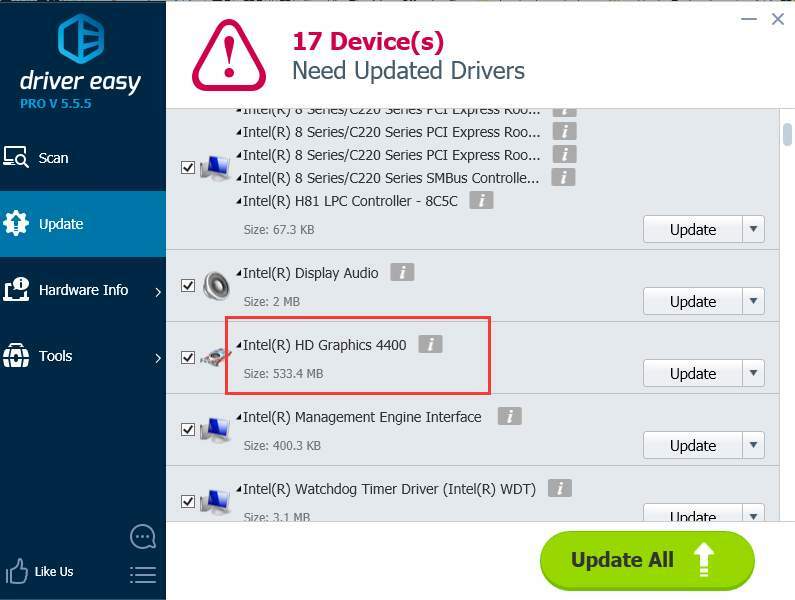 If steps above doesn’t resolve the problem, try to update the graphics card drivers. 3) Click the Update button next to the graphics card driver to automatically download and install the correct version of this driver (you can do this with the FREE version). 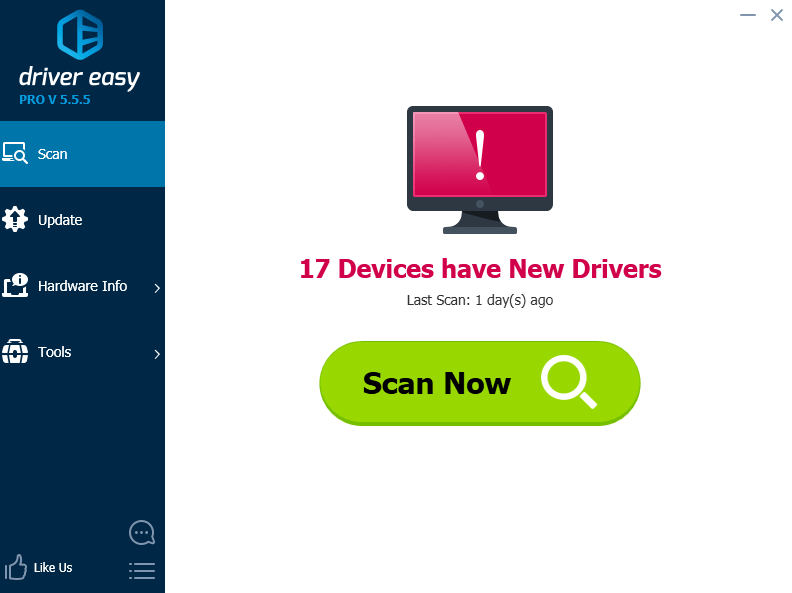 If you need further assistance, please feel free to contact Driver Easy support at support@drivereasy.com. They’d be happy to assist you. Remember to attach the URL of this article so they could assist you better.